It's beautiful! I love your handmade inchies... the colours and the stamping are so lovely! Wonderful card. Thanks for joining us at Cute As A Button Challenge. 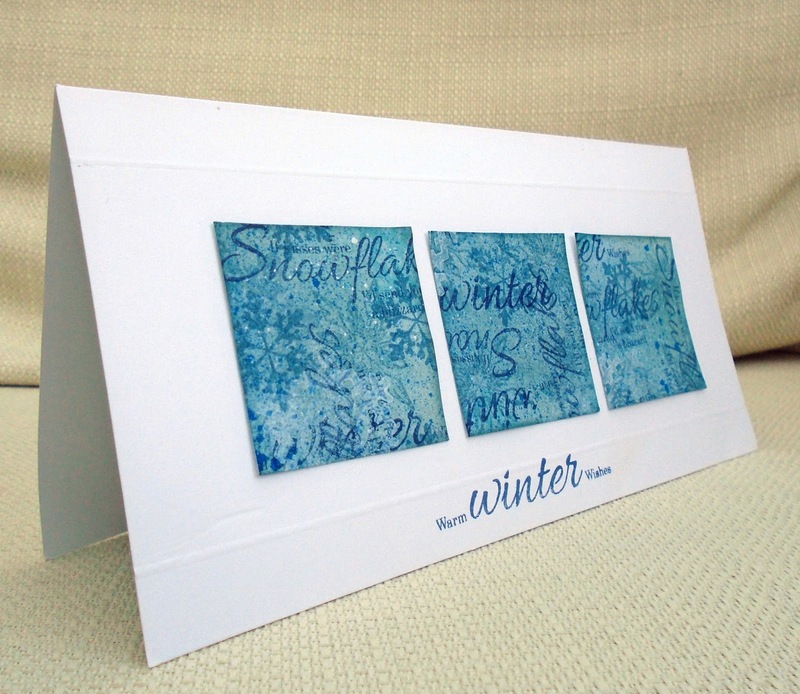 Very classy card Marina and love the winter blues. Stunning card!!! I love the blue and white color combo. Oooo . . . this is a stunning CAS card! Love those blue squares and the embossed lines around the sentiment are fabulous. Thanks for playing with LTSCB. Thanks for linking up to STAMPlorations! Twinchies!!! Love the color combo! Thank you for joining us at Cute as a button!